Please note – prices & services may vary from store to store. Please contact your local clinic to confirm PRIOR to your appointment. 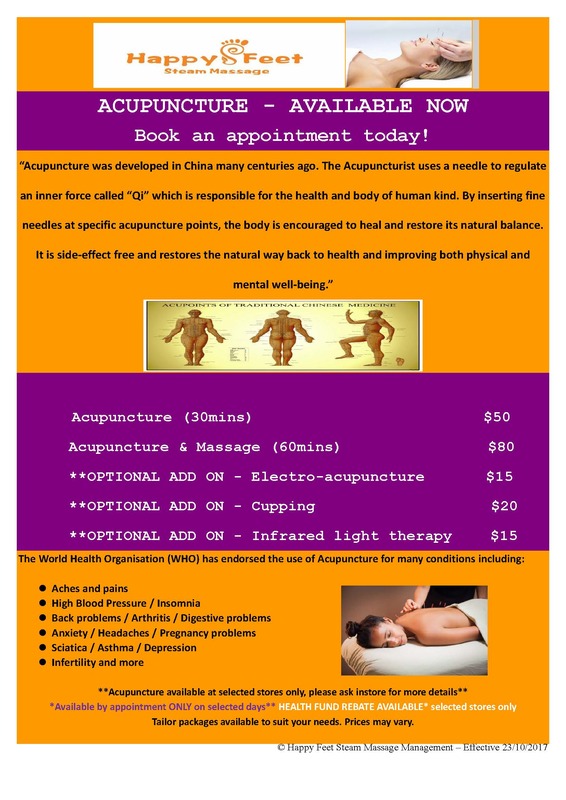 If you would like to try our Acupuncture treatments, please feel free to email or call our store directly to book. BOOKING IS ESSENTIAL. Health Fund rebates are available. Store trading hours vary*; please contact stores directly for exact times.